Our programme of events for 2018 begins on Tuesday March 20th at 7.30pm. with a talk from our former Chairman Ian Pringle. 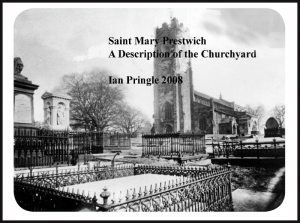 Ian will bring us up to date with information about Philips Park, and his current research concerning Prestwich in general. Do try to join us at our usual venue, The Church Inn. Church Lane, Prestwich. The following talk will be on Tuesday April 10th Usual time and place and will be given by Paul Hindle who has spoken to us previously about the canal system. Paul will tell us of the Meccano Bridge recently built over the Bury Bolton canal. Our talk for May will be by Stephen Eckersley who will speak to us about the Red Rose Steam Society. I’m sure many of you are interested in the history of steam trains and will greatly enjoy this speaker. The talk will be on Tuesday May 22nd at the usual time and place. This talk will be just after Clough Day which is on Sunday May 20th, starting at 12 noon in Saint Marys Flower Park. We do hope you will all join us and the brass bands and Morris men, together with all the usual fun and entertainments. Any of you who can help to man our stand on the day do please find us on the field at 11am to help set up the stall and help out our visitors. As many of you will know, one of our most popular members Peter Roughan sadly died a couple of months ago. Peters daughter Susan has asked that her dad should be remembered by the Society and it is proposed that a memorial brass plaque should be placed on one of the benches in Saint Marys Flower Park. The society is happy to do this and a day for the ceremony will be arranged with Susan, together with words for the plaque. We will leave this until the summer, when the weather is better. You will be pleased to know that Tom Gribben is now out of hospital after his triple bypass and is recovering at home. We wish you well Tom. Hoping to see you all soon.